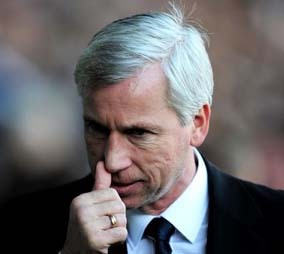 Alan Pardew To Bring In One Special Player In January? If you were looking for something to lift your spirits then Alan Pardew’s overview on our current position might not be the best thing to read. “We look weak with the injuries we have sustained and we may need to bring in a player or two. We are in the market as I’m sure a few other clubs will be. Mike (Ashley) has been very supportive and I want to look him in the eye with great results under my belt but at the moment I can’t. I’m looking him in the eye and I’ve got tricky results. He understands that and has been very supportive and now we look to the window hopefully and we may need some assistance. It would be nice to get one or two back, Steven Taylor and Yohan Cabaye, around our first team and hopefully bring one or maybe two players in the window if we can”. Hopefully this is all kidology and the new year will deliver the players most of us knew we needed back in the summer. The past tells us that we shouldn’t read too much into any talk by the manager about possible transfer activity, both in terms of lowering of raising expectations. I can understand clubs not wanting to reveal their hands and in any case, as always actions will speak louder than words. Where Alan Pardew is falling down is trying to blame injuries, at the moment Taylor and Cabaye are missing from our first eleven, while we await news of whether Ben Arfa is ok for Saturday. Every club is going to have some injuries and Newcastle United walked a right tightrope last season, especially when we went for ober half the season with just the one goalscorer, last season would have turned out so differently if anything had happened to Demba Ba. This season we’ve fallen off the tightrope a few times only to find that somebody thought investing in a safety net was wasted money. If we are only going to bring in one player in January he had better be some player!